There are countless cases of people who have been diagnosed with cancer only to be found cancer free just months later and alive and clicking ten, twenty or more years down the road. This is proof that the human body has the ability to make disease simply disappear (or never appear in the first place) when it has the proper nutritional elements it needs in the right amounts without being assaulted by excess toxins. Keep your mind and your thinking in good shape. It has been proven that positive thinking does produce favorable results and negative, pessimistic thoughts have the opposite effect. Be optimistic about your health and well-being. Exercise at least 2-3 times a week (muscle building and maintaining). One to two sessions of interval (short burst) exercise each week. Eat “clean” consume as many foods in their raw state as possible or with little or no heat used to cook them to reserve their precious nutrients. Avoid processed “dead” foods that have artificial additives and load up on fresh organic veggies and fruits whenever possible. If you eat meat choose grass-fed, free ranging animals. Reduce your intake of grains and limit or avoid sugar in all forms…especially high-fructose corn syrup (HFCS) and artificial sweeteners. Slim down if needed to maintain a healthy body weight. This comes naturally after you begin exercising properly and eating right. It is important to lose excess body fat because fat produces hormones that can trigger cancer. Spend time ground with the earth…barefoot on the grass, earth or sand. Get enough sunshine…you need your vitamin D.
Manage your stress. Exercise is the perfect outlet for managing stress. Reduce your exposure to environmental toxins like pesticides, insecticides and household chemical cleaners to name a few. Many household cleaners are easily replaced with non-toxic alternatives. Boost Omega-3 fats. Unfortunately 80% of the fats we consume are Omega-6 and that is a dangerous thing because Omega-6 fats (found in processed vegetable oils like corn, canola and soybean oil) promote inflammation and turn on genes that fuel the cancer process. Omega-3’s on the other hand supply the antidote. Not only do healthy fats (found in cold water fish like wild salmon, sardines and drill oil, flaxseed, walnuts, chia seeds and grass-fed beef) provide potent anti-inflammatory action. They also up-regulate the genes that guard against cancer. Omega-3 deficiency is a common underlying factor for caner. Use caution with prescription drugs. Pharmaceutical drugs kill thousands of people prematurely every year-as an expected side effect of the action of the drug. 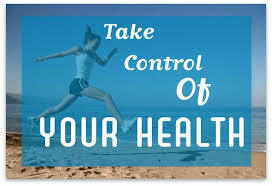 If you adhere to a healthy lifestyle, you will most likely never need any of them in the first place. Incorporating these healthy lifestyle guidelines will help set you squarely on the path to optimal health and give you the best shot at living a much longer disease free life. Lifestyle choices…not chance really does determine your destiny. Take this 1 minute test to find out how you fare on the Cancer Risk Scale.